I love the relaxed atmosphere of this place. It is a nice contrast from the downtown bar scene. The staff is friendly and knowledgable about the constantly rotating beers. The flights are wonderful - they offer flights of beer, bacon (yes, bacon), Bloody Mary's, and pickled veggies. Their made-from-scratch kitchen concocts some awesome pizzas and sandwiches, also. Give this place a chance and you will definitely want to go back. I've been here a few times for happy hour and then again for an early dinner on Labor Day Monday. Service is always fast and friendly, they have plenty of parking in the back lot, and there's a lot of seating both in the main room and out the back. The kitchen is open so you can see just where your food is coming from and how it's handled. They also have a generous beer selection. Outside seating was comfortable, quiet enough, and a great atmosphere. Bacon flight was delicious especially the blue cheese. Great beers on draft, but went with a nice Basil Hayden bourbon neat that paired well with the bacon influence of the evening. The beers on tap are exemplary. Every one was unique, flavorful, enjoyable, and delicious. Go for a flight of all 8 on tap and get a pretzel. Talk to your server and the awesome bar staff (shout out to Luke!) to round out your visit. They don't distribute their beers, so this is the only spot you can get these delicious beers. Honestly, this IS as good as it gets! Great beer AND great food? Whaaaaaat? We tried some different beers: Citra pale ale (lovely) and the Franks Red Ale (really good), along with the bacon sampler and bruschetta. Amazing! I could have eaten just the bacon for the next 3 meals. But the bruschetta was so good, I got the Italian Queen pizza (very similar!!!!). The crust is perfect and has a wonderful crunch. No silly soggy pizza here! Table mates got the Bahn Mizza and the Leviathan pizzas and were very happy with their choices. I tried them.. ridic! But the best part of the outing... We got to try the new shandy that will be coming out tomorrow - March 22. It was so good, I'm thinking of going back to get a growler tomorrow! The event center is awesome, and I can't wait to come back and hear some fabulous music! Thumbs up all the way around the table! AND - for the non beer drinkers - they have a fully stocked bar - you don't need to sneak in your little bottles to hang with your beer-drinkin' friends! Day Block is a great example of a brew pub that is able to retain it's small, local feel while providing a warm and consistent feel for guests. The menu is diverse and unqiue, but not at the same time familiar and accessible. The prices are relatively low, and the servings generous. I ordered the Portobello Juicy Lucy, eager to try this unqiue take on a local favorite, and was not disappointed. The two caps were well cooked and the toppings plentiful. The tomato soup I had as a side could easily have been a meal on it's own - rich in flavor and thick. As someone who doesn't drink alcohol, I also appreciate the availability of non-alcoholic beverages beyond soft serve: shrub soda, coffee, and a variety of sodas. A great place for a happy hour, friendly get together, or night out. Super conveniently located, really good beer (I had the IPA), and very friendly staff. Not to mention they have an awesome menu of quirky food that is all hand-made in house. Pizzas, pickled things, and a variety of flavors. Go here if you get a chance! Thoroughly impressed that they had such a seemingly put together menu of beer and food despite being kind of new to town. Their pizza is CRAZY good. The menu isn't extensive, but what was listed and brought out all looked fabulous. Couple that with a wide variety of beers, and it made for a wonderful evening. Paul even came back at the end to chat with us some more. 5+ stars. Wouldn't change a thing, and I'll be back soon! My favorite thing is the bacon flight. Who was I before I discovered bacon flights? A poor, anchorless soul, wandering in the wilderness. But now... The ones I can remember trying are chocolate-covered bacon, Thai curry bacon, a caramelly one, a maple one, and a jerk one with molasses. There is always a combo of savory and sweet. I've never tried one that isn't awesome. Going to Day Block Brewing was one of the best choices I made all weekend. Service, food, and general comfort was all on point. The bartender and server were both very attentive and friendly. We enjoyed having them stop by to chat about the menu and refill those brewskis. My family enjoyed their beer selection and the range from red ales to major hops in the IPAs. Excellent! Newer brew house that is soon to take off. Very nice bartender. Recommended the flight. Spring Lager was delicious! Great garlic knots too. Their pizzas are imaginative and well executed. While the tikka masala pizza holds a special place in my stomach, I can't help but be impressed with the za'atar pizza. Preserved lemon and golden raisins temper the typical characteristics of lamb, bringing a completely different personality to light. Great place for the beer lovers! Super chill atmosphere as well! Just went to Day Block for a lunch the other day with a group of 12- no reservation, and they did a great job of getting us all served and our wacky separate check situations squared away- great food, great service, and great beer! Thanks! Check out more reviews on Facebook and Yelp! 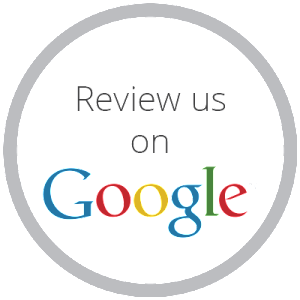 Thinking about stopping in to give us a review of your own? Make a reservation today!